Highland Falls Golf Club Hole 5: By far the best golf hole on the front nine, this medium length par four is all about the second shot. The green has water wrapping around its right side and to the left is a steep hillside from which chips will make the golfer nervous. 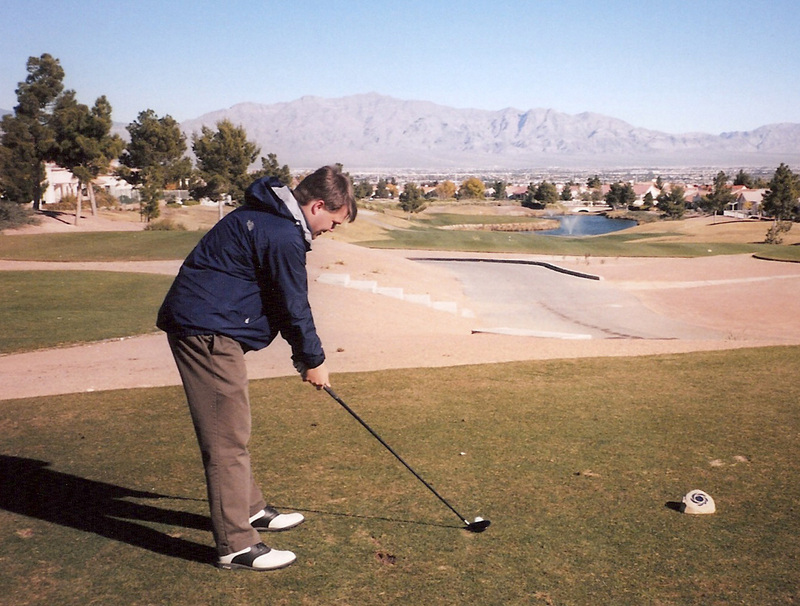 Highland Falls Golf Club Hole 14: The best par three on the golf course takes the golfer to the highest elevation and offers a long, downhill shot with a great view of the Las Vegas strip and much, much more. However, any shot that goes long will head down a steep hill, leaving a difficult chip shot. Highland Falls Golf Club Hole 18: The finishing offering at this golf course is a solid par four with water right on both the drive and the approach. Any golfer too timid will most likely find bunkers left, or even worse, hillside.